I’ve got the perfect birthday gift that I know everyone will love! 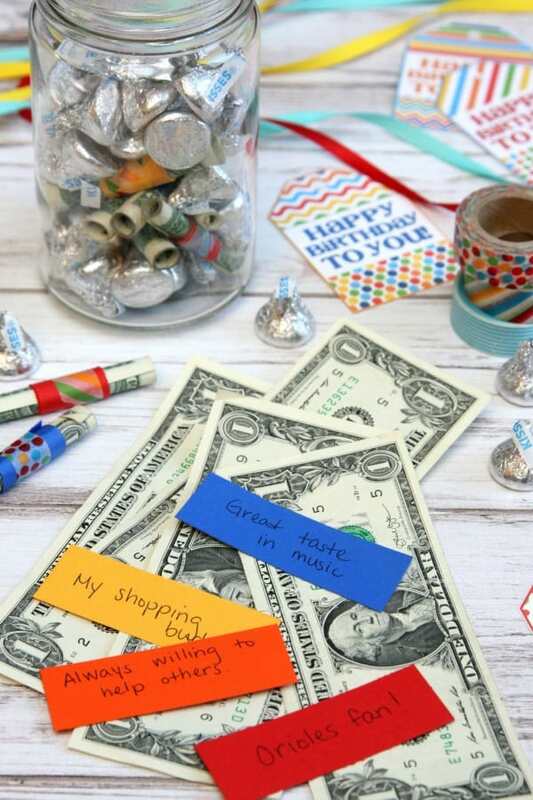 This Birthday Gift in a Jar is the perfect way to celebrate someone’s special day and is especially perfect for teenagers and young adults. My mom’s best friend’s daughter (wow – that’s a mouthful) just celebrated her 16th birthday a few weeks ago and my mom asked me to help her create an awesome birthday gift for her. What do you get a 16 year old? Money! That’s pretty much all they want. Oh, and a car but we had to be practical here. So, after finding this idea on Pinterest, my mom and I put together a fun Birthday Gift in a Jar. Since she was turning 16, we first came up with 16 things we loved about her and wrote them out on strips of paper. Next we had to get some cash because who carries cash these days? Instead of just giving her $16, I came up with a combination of 2 – $10, 4 – $5, 10 – $10. 16 dollar bills for a total of $50. 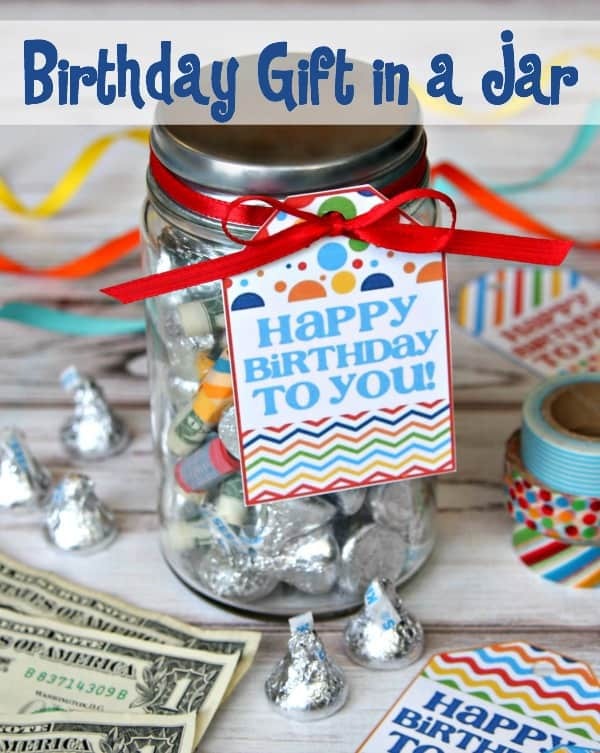 You could even add a gift card to the jar if you want to give the birthday girl or guy more. 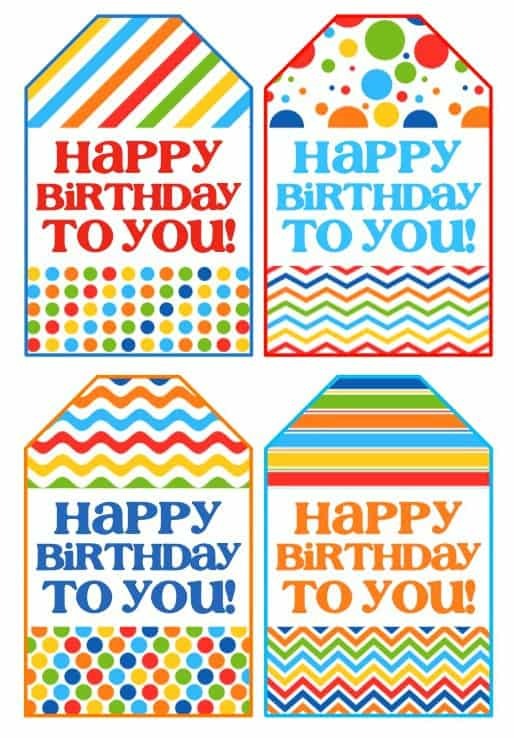 Download Happy Birthday gift tags HERE. Then, we wrapped a strip of paper around each dollar bill and placed it in the jar. To fill the empty space in the jar, we added some chocolate. Cash and chocolate = perfect gift! And to make this gift even more fun, I helped my mom pick out the perfect Hallmark Musical Greeting Card. 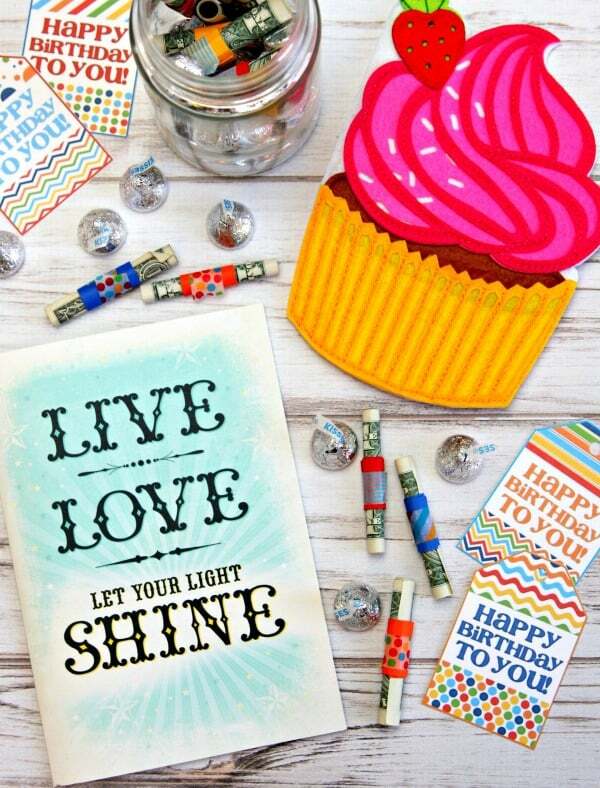 You just can’t go wrong with all the fun music cards available at Hallmark. 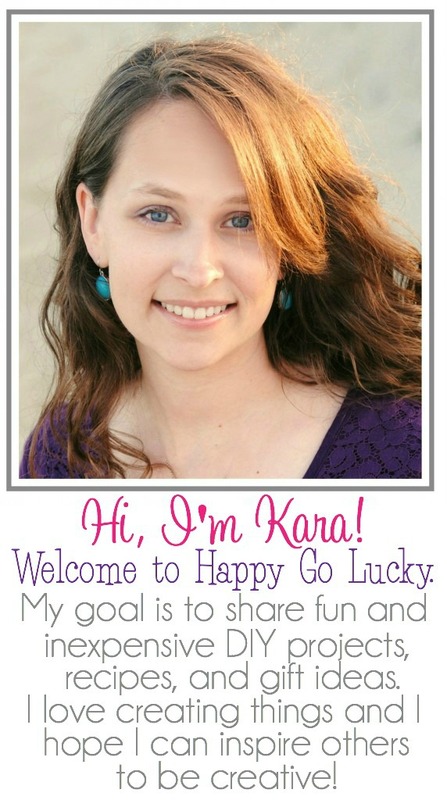 I’m giving away a Hallmark Sound Card gift package. All you need to do is visit Hallmark and then come back and share your favorite musical greeting card. That’s it! Pretty easy giveaway and a fun birthday gift too. i like the hoops and yoyo 100 Bucks card. Hey! Your site´s great, I love the ideas on it!